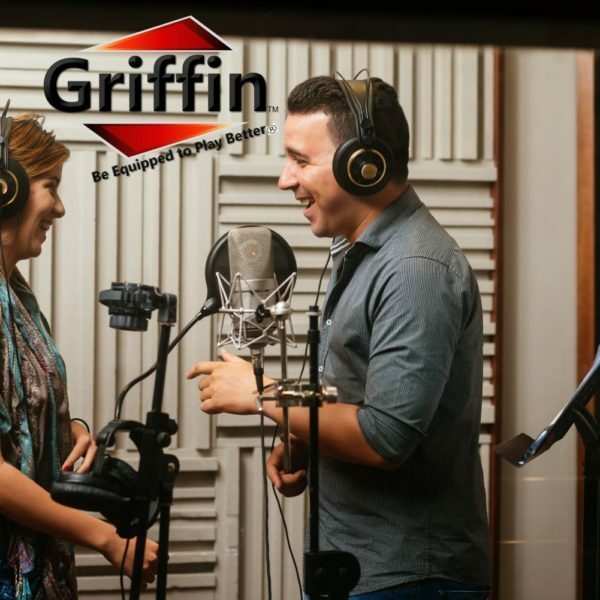 Broadcast In Style with the Best Scissor Microphone Arm Stand Kit by Griffin! 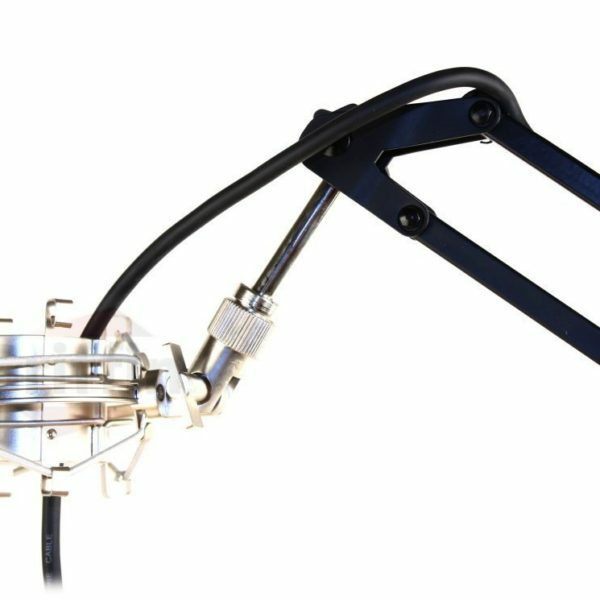 If youre searching for a professional, studio grade microphone suspension boom stand that combines efficiency, durability and portability, together with an attractive price, then your search is over! 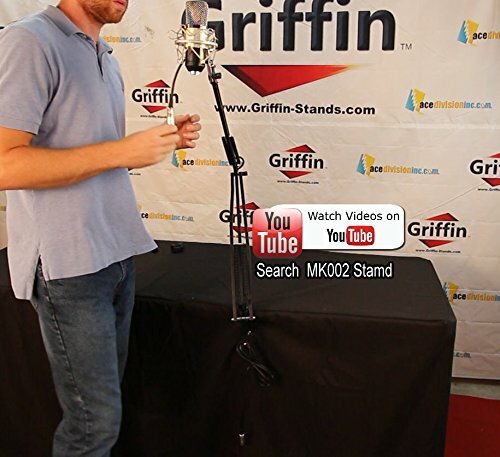 Extremely durable and with a versatile design, this scissor arm stand will allow you to perform, broadcast and stream your daily podcast with ease and professionalism! 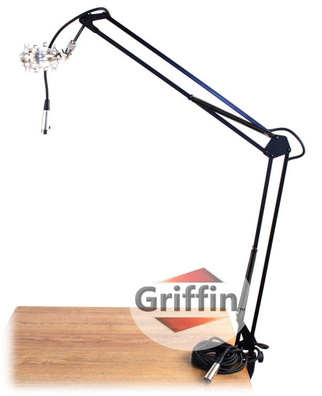 Easy to set up and use and perfectly portable, this stand is the ideal solution for professionals who need premium functionality and a highly adjustable design. Dare to compare! 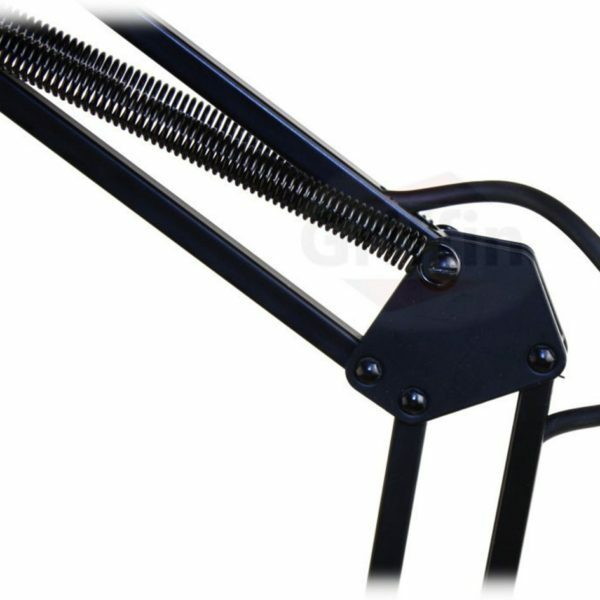 This scissor microphone arm stand comes at the best price on the market! 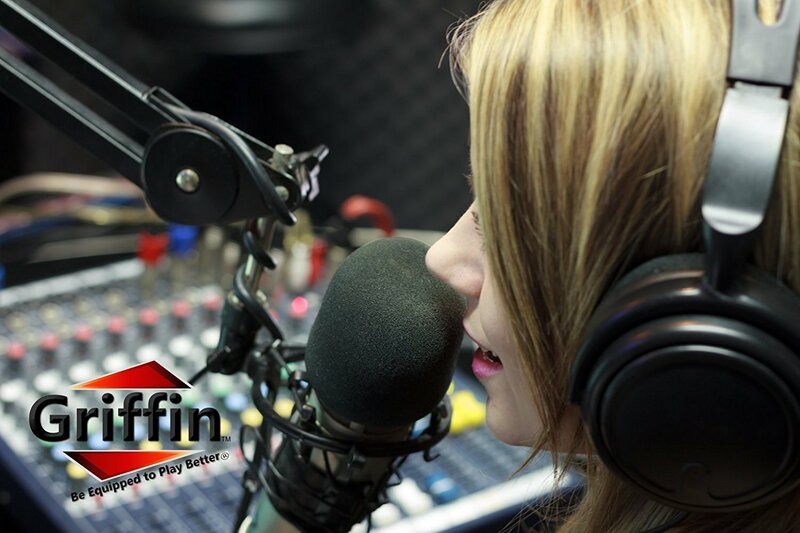 Backed by a 1 year replacement warranty and 30 day money back guarantee, you have nothing to lose! 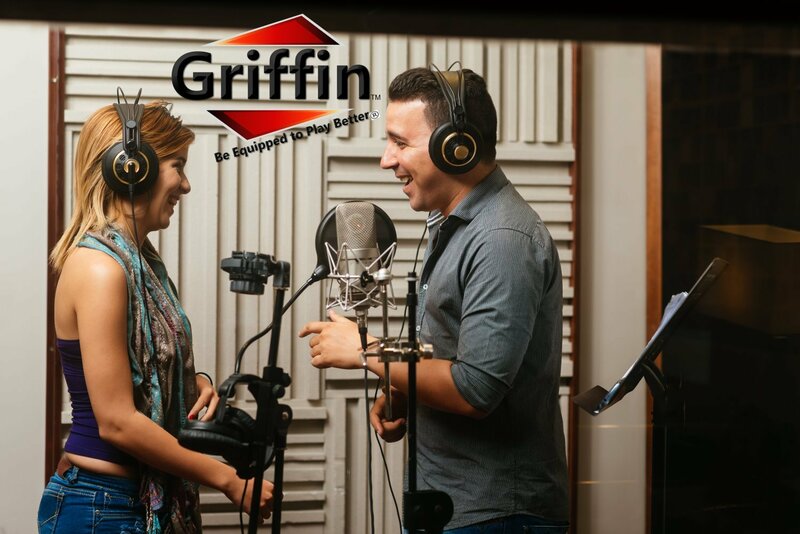 ENJOY A SMOOTH BROADCASTING EXPERIENCE: Designed for studio performances, radio broadcasts and presentations, this high quality, well built, studio grade microphone suspension boom will stabilize your mic and offer an optimal voice-projection experience, every time. 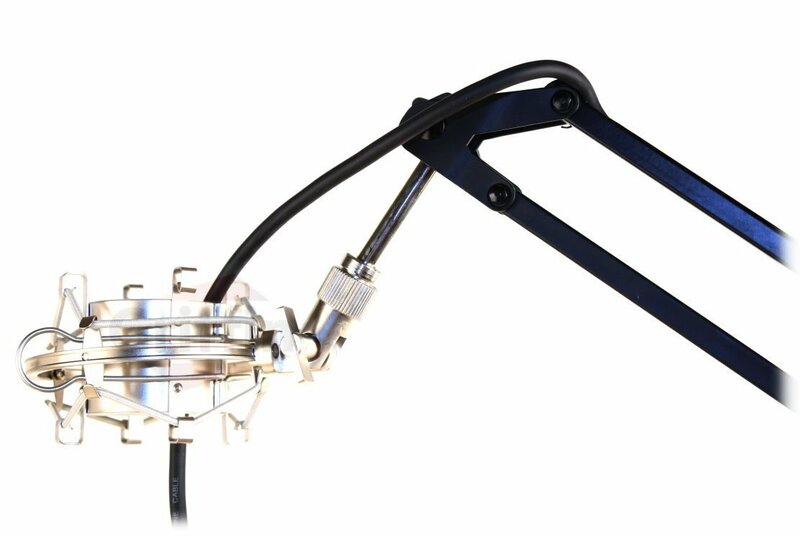 The efficient and easy to use scissor arm design offers unique flexibility and portability, making it perfect for broadcasting studios, announcers’ desks voice-over sound studios. 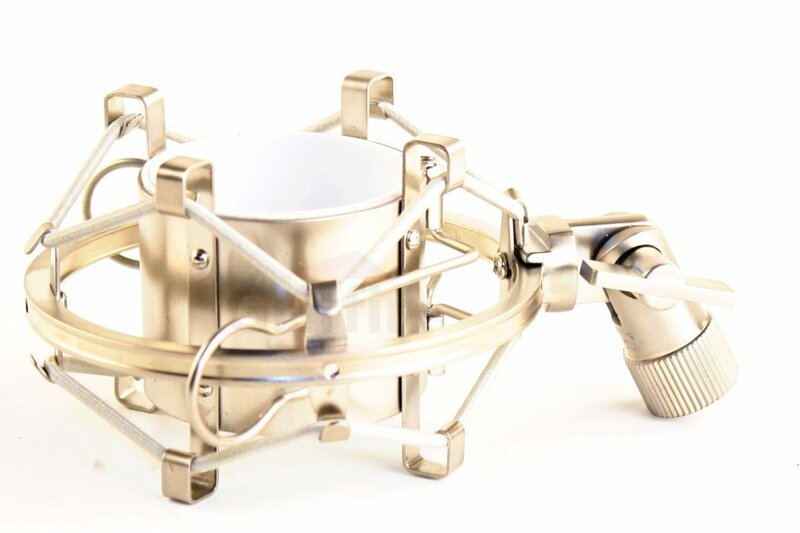 PROFESSIONAL STYLE & QUALITY: Boasting heavy duty, double braced arms that will safely support the weight of any microphone up to 2 pounds and 6 ounces and dual suspension springs, this boom desk mount mic arm stand will protect your microphone from accidental drops. 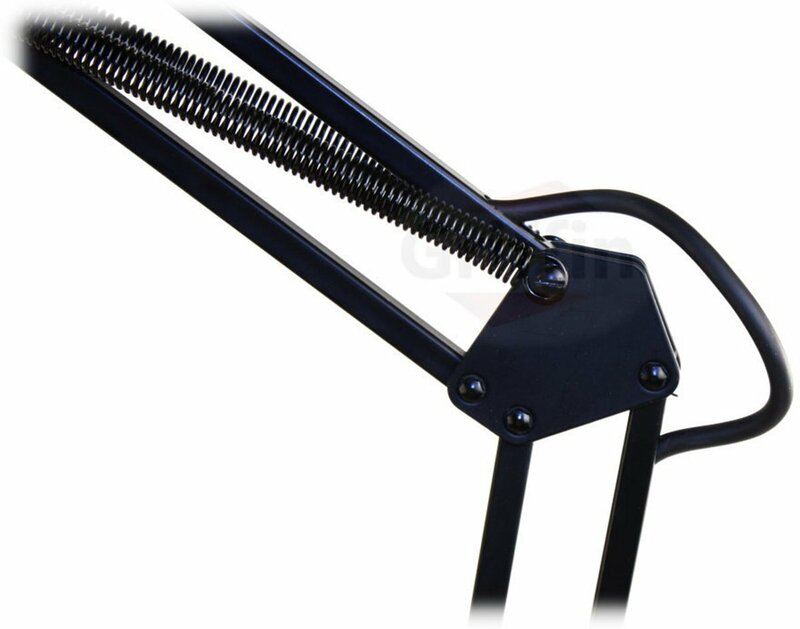 The arms can easily extend from 20″ to 42″ in length to accommodate your needs, while the efficient, crank style table clamp offers unparalleled stability and a secure grip on any desktop or table up to 2 ¼” thick. 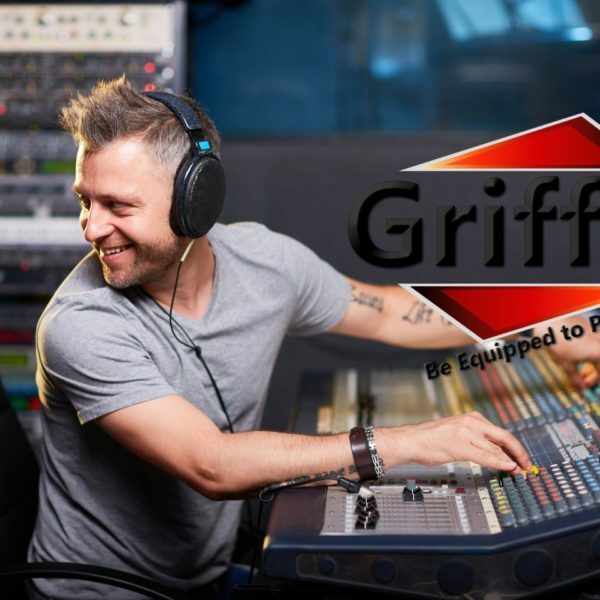 GET A COMPLETE KIT: This package includes all you need to get started right away! 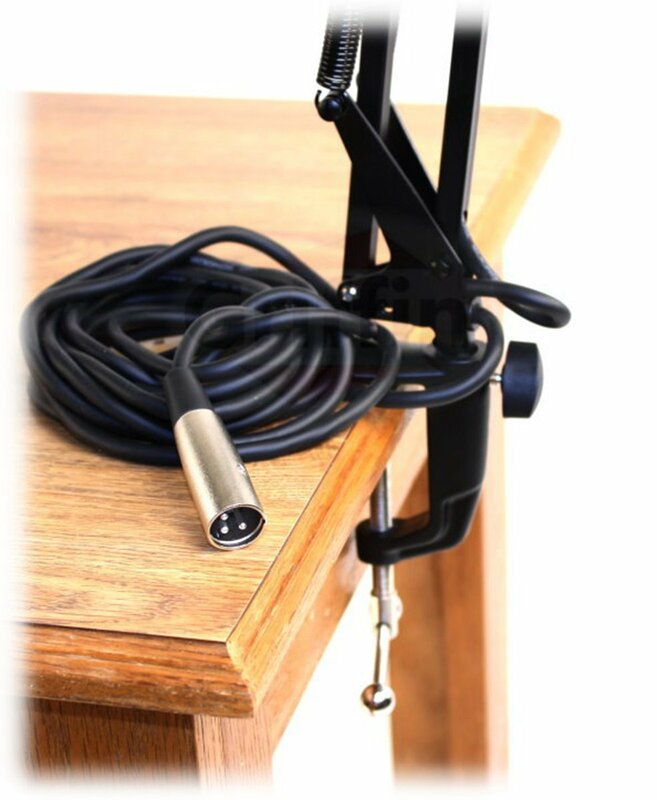 The kit includes 1 scissor microphone arm stand, a standard mic clip for handheld microphones, a crank style table mounting clamp, a professional studio shock mount for large, diaphragm condenser mics, as well as a 16 ft XLR microphone cable, discreetly hidden inside the boom arms. What is more, this kit comes with a jaw-dropping price tag that you will not find anywhere else on the market! 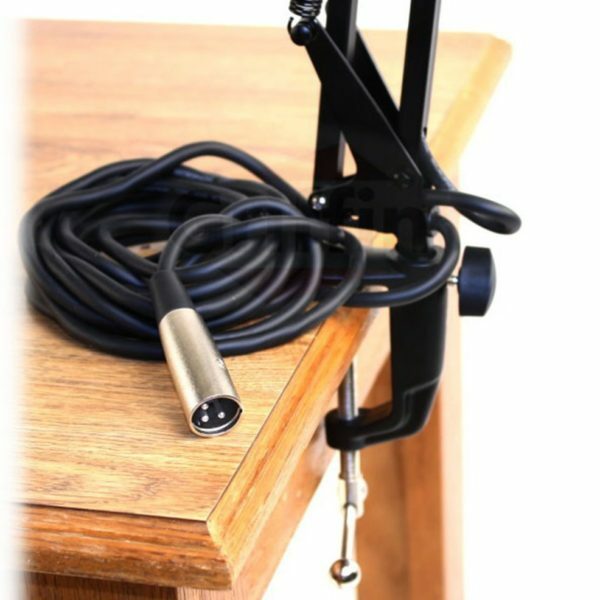 SHOCK MOUNT & XLR CABLE: The shock mount included in the package is suitable for use with most large diaphragm condenser microphones from 46mm to 54mm diameter and up to 4 pounds of weight, while the soft, cloth padding will protect your mic from scratches and keep it securely in place. 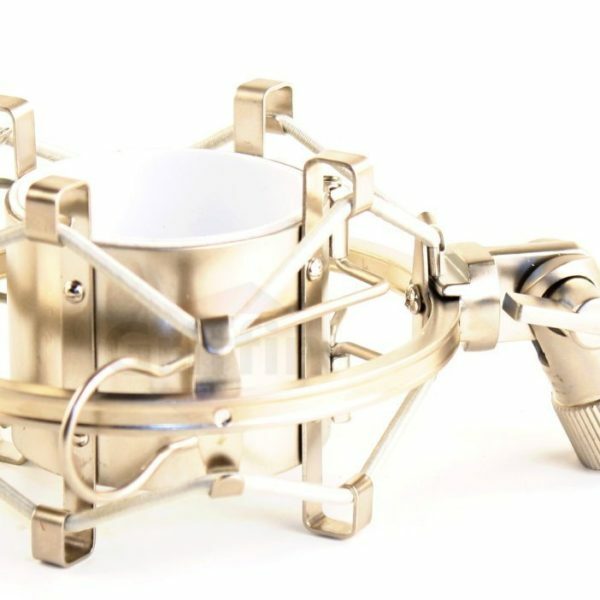 It also features a standard sized, die-cast steel adapter with twenty seven 5/8″ threads. 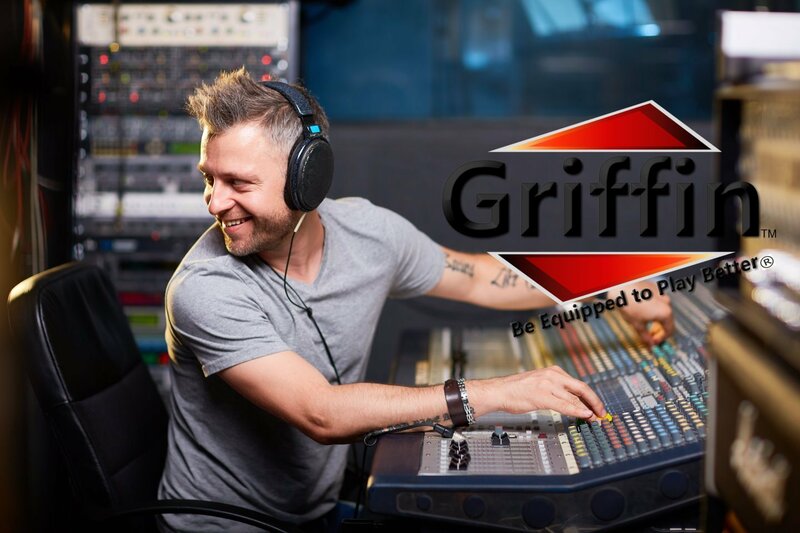 The professional grade, 16 ft XLR cable features a male and female connector and provides excellent noise protection.  SATISFACTION GUARANTEED: Here at Griffin, we strive to go above and beyond in order to ensure your satisfaction. 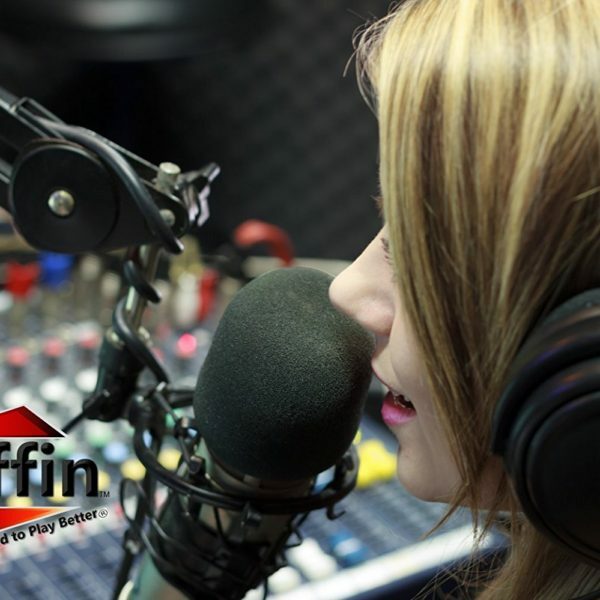 This is why we back this product by a 1 year replacement warranty of peace of mind. With nothing to lose, order yours today!